Omega-3 fatty acids are nutrients your body cannot make, but needs for survival. They play a vital role in brain health, and in proper growth and development. These polyunsaturated fats (also known as PUFAs) are found in oily, cold-water fish like salmon, herring, sardines, and anchovies, and in other foods like walnuts, canola oil and flaxseed. They work in balance with a relatively small amount of omega-6, another fatty acid found in vegetable oils and meat, to keep your immune system healthy. Omega-3 fatty acids from marine sources contain two vital compounds: EPA (eicosapentaenoic acid) and DHA (docosahexaenoic acid.) These compounds are thought to reduce inflammation. Reducing inflammation can help "reset" your immune system, giving it the resources it needs to heal your body. How Do Omega-3 Fatty Acids Reduce Inflammation? In a groundbreaking study done at Boston’s Brigham And Women’s Hospital, it was found that during metabolism, omega-3 fatty acids become 10,000 times more powerful than their original compounds. Resolvins, a group of substances created during this process, according to Dr. Charles Serhan, the study’s lead researcher, help put the hammer down on inflammation. He concluded that the process in the body that starts the cycle of inflammation also includes an "off" switch. However, the optimal dosage to turn off inflammation in someone with a compromised immune system (for example, those with heart disease or arthritis) is not yet known, so until then, Dr. Serhan recommends getting your omega-3s from fish. Rheumatoid arthritis, like other autoimmune diseases, presents itself along with systemic and localized inflammation, as measured by blood levels of C-reactive protein (CRP.) It’s thought that an increase in systemic inflammation can tip the balance of the immune system, leaving you vulnerable to health problems such as obesity, heart disease, diabetes, and arthritis. While currently there is no cure for rheumatoid arthritis, several studies have shown that increasing your intake of DHA can lower C-reactive protein levels, hence lowering inflammation and discomfort in your joints, and perhaps allowing you to cut down on your prescription medication. So, a "Mediterranean-style" diet, resplendent with oily fish containing omega-3 fatty acids, may result in an improvement of rheumatoid arthritis symptoms. Some studies have also concluded that fish oil supplements can improve RA symptoms like pain and morning stiffness, although high doses (3 to 4 g) may be required. Do not take doses this high without your doctor’s supervision. While anecdotal evidence exists to show that omega-3 fatty acids can reduce the inflammation of osteoarthritis, most medical studies have either been inconclusive, or have been done on too small a scale to draw definitive conclusions for a larger population. One laboratory study does suggest that omega-3 fatty acids (in a diet low in omega-6 fatty acids) can reduce the symptoms of osteoarthritis, but more study is needed. However, two clinical trials have shown that if your dog has osteoarthritis, a diet rich in omega-3 fatty acids derived from fish may reduce his or her pain and inflammation. The majority of the medical establishment accepts that there’s a link between omega-3 and arthritis. 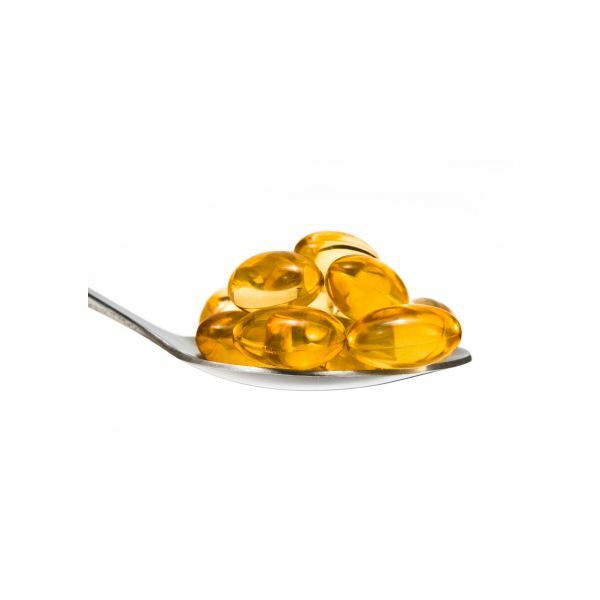 But if you choose to obtain your omega-3s from fish oil supplementation, consult your doctor. At a high enough dosage, and in combination with some medications, fish oil can thin the blood and cause internal bleeding. Also, choose a reputable brand free of mercury and other heavy metals.